It is a reality that the deepest mysteries are solved from nature itself. All you need to do is to observe nature. Solar Cell needs direct exposure to sunlight and if we talk about indoor solar cells, then they need direct exposure to artificial light. Scientists at United Kingdom have broken the stereotype and developed a new material that can trap ultra- broadband light. The new material being developed is nanotextured decoupled graphene multilayers and the thin two dimensional surface of the material is best for light absorption. The graphene like material functions exactly like a moth’s eyes. Moth’s eyes can capture a wide range of electromagnetic waves, and not just visible light that human eyes do. The highly sensitive graphene material can trap not just sunlight, but any radio wave or microwave energy. 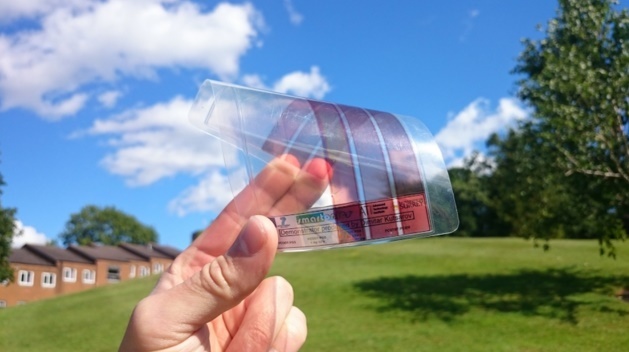 This means, if you have your mobile turned on in your house, the solar cell made from the nanotextured decoupled graphene multilayered material can generate energy inside your own home. This definitely means the new type of solar cell will need antenna to capture the ultra wide ranged electromagnetic waves. The mystery has been solved, the arrangements have been made. It’s only a wait of time before getting a perfect indoor solar cell that can generate energy without exposure to direct light. The material can be applied in a multifarious applications including energy, optoelectronics, and spectroscopy. The ability to engineer a thin two-dimensional surface for light trapping across an ultra-broad spectral range is central for an increasing number of applications including energy, optoelectronics, and spectroscopy. Although broadband light trapping has been obtained in tall structures of carbon nanotubes with millimeter-tall dimensions, obtaining such broadband light–trapping behavior from nanometer-scale absorbers remains elusive. We report a method for trapping the optical field coincident with few-layer decoupled graphene using field localization within a disordered distribution of subwavelength-sized nanotexturing metal particles. We show that the combination of the broadband light–coupling effect from the disordered nanotexture combined with the natural thinness and remarkably high and wavelength-independent absorption of graphene results in an ultrathin (15 nm thin) yet ultra-broadband blackbody absorber, featuring 99% absorption spanning from the mid-infrared to the ultraviolet. We demonstrate the utility of our approach to produce the blackbody absorber on delicate opto-microelectromechanical infrared emitters, using a low-temperature, noncontact fabrication method, which is also large-area compatible. This development may pave a way to new fabrication methodologies for optical devices requiring light management at the nanoscale.